Why is it the BBWAA 'tards are the only people who get to vote on who gets into the Hall of Fame? Yes. 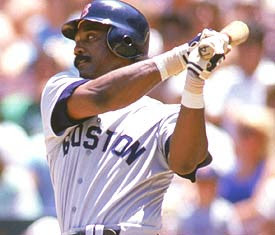 Jim Rice did not make it in again. He was 16 votes shy of the 75% that he needed. Oh, check out the BBWAA website. You'll love it. Very cutting edge. wow. you should have warned me. I checked out the BBWAA website and now my head hurts. haha. yeah. i think it uses the color green that computers used to use when they only displayed in black and green.